Sirius XM Radio today announced that Eminem will sit down for a rare Q&A session with a select group of listeners for the SiriusXM "Town Hall" series on Monday, November 4, the day before his new album The Marshall Mathers LP 2 is scheduled to be released. Moderated by Shade 45's Sway in the Morning host Sway Calloway, "SiriusXM's Town Hall with Eminem" will include the iconic rapper answering a variety of questions from fans about his entire career, including his soon-to-be-released The Marshall Mathers LP 2. "Eminem's influence in rap and hip hop, and music in general, can't be underestimated. His journey as an artist, which he shows unflinchingly to his fans, is inspiring. Our 'Town Hall,' as he releases The Marshall Mathers LP 2, will be equally candid, real, and utterly fascinating for the lucky fans and subscribers who get to share the room with him," said Scott Greenstein, President and Chief Content Officer, SiriusXM. "SiriusXM's Town Hall with Eminem" will air on Tuesday, November 5 at 12:00 pm ET on his SiriusXM channel, via satellite on Shade 45, channel 45, and through the SiriusXM Internet Radio App on smartphones and other connected devices, as well as online at siriusxm.com. Fans first got a taste of the new Eminem album when his song, "Survival" was released in August. Following that, a snippet of the first single, "Berzerk" and accompanying video aired during the MTV Video Music Awards later that month. The song premiered on Eminem's SiriusXM channel Shade 45 and was released on August 27th and has sold over a million copies to date. The video for "Berzerk" has been viewed over 40 million times. Last week, the latest song from The Marshall Mathers LP 2, "Rap God," made its debut. It has been called "Six minutes of concentrated speed-rap fury, one of his sickest flows ever..." (Rolling Stone). The Marshall Mathers LP 2 is executive produced by Dr. Dre and Rick Rubin and features guest appearances from Rihanna, Kendrick Lamar, Nate Ruess from fun., and Skylar Grey, among others. SiriusXM listeners will have the chance to attend "SiriusXM's Town Hall with Eminem" on November 4. Listen to Shade 45 or visit Town Hall Radio - SiriusXM Radio for Official Rules and details beginning Monday, October 28. "SiriusXM's Town Hall with Eminem" is part of SiriusXM's "Town Hall" series, featuring iconic entertainers and figures sitting down with studio audiences of SiriusXM listeners. Previous SiriusXM "Town Hall" specials have featured Bruce Springsteen, Tom Petty, Pearl Jam, Willie Nelson, Alicia Keys, KISS, Katy Perry, Cher, Ringo Starr, Taylor Swift, Usher, Roger Waters and the surviving members of Nirvana. After the broadcast, "SiriusXM's Town Hall with Eminem" will be available on SiriusXM On Demand for subscribers listening via the SiriusXM Internet Radio App for smartphones and other mobile devices or online at siriusxm.com. Visit SiriusXM On Demand - SiriusXM Radio for more info on SiriusXM On Demand. Over the course of his career, Eminem has sold over 80 million albums and 120 million singles worldwide. He was Nielsen SoundScan's top selling artist of the 2000s with 32.2 million albums sold in that decade in the U.S. alone. In addition, Eminem was also named Billboard's Artist of the Decade for the same period, 2000 through 2009. Eminem has won 13 Grammy Awards and an Academy Award. His last album, Recovery, sold 7.2 million albums worldwide. Shade 45 is the uncensored hip-hop channel created by Eminem. Listeners will hear artists like Eminem, 50 Cent, Lloyd Banks, Tony Yayo, Dr. Dre, Snoop Dogg, Lil' Wayne, Drake, Kanye West, Jay-Z, and D-12. For more information on Eminem, please visit Home - EMINEM. Who wants to spend their lunch hour with Brad Paisley today? We have a few extra seats for our SXM Town Hall. 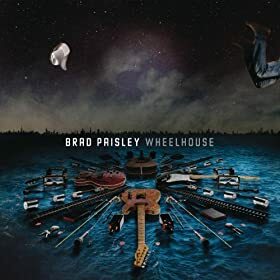 If you can be downtown Nashville from 12:30 - 2:30 today, email your favorite Brad Paisley song to SXMNashville@gmail.com. Good luck! Yes, I did know that and there's an app for that! Some of their best shows are on Tue & Thurs nights which SXM doesn't air, but you can listen to every show with it. Hear a very special Town Hall with Brad Paisley from the SiriusXM Music City Theatre in Nashville, moderated by SiriusXM host Storme Warren. The three-time ASCAP country songwriter/Artist of the Year answers questions from an intimate audience of SiriusXM subscribers about his legendary career in music, including his latest album, Wheelhouse. Sirius XM Radio today announced that Lady Gaga will sit down for an intimate Q&A session with a select group of listeners for the SiriusXM "Town Hall" series on Friday, November 8. Moderated by SiriusXM Hits 1's The Morning Mash Up hosts Nicole Ryan, Stanley T, Rich Davis and Ryan Sampson, "SiriusXM's Town Hall with Lady Gaga" will air on Friday, November 8 at 9:00 pm ET on SiriusXM Hits 1 and through the SiriusXM Internet Radio App on smartphones and other connected devices, as well as online at siriusxm.com. For rebroadcast times, please visit Town Hall Radio - SiriusXM Radio. "Lady Gaga is an amazing artist, surprising her fans worldwide with almost every move she makes. She's never one thing, always changing, and leading every time into new territory," said Scott Greenstein, President and Chief Content Officer, SiriusXM. "One of the world's most covered and written about artists, her lucky fans and our subscribers will get a front row seat to hear what she has to say about the new album, her career, and who knows what else." "SiriusXM's Town Hall with Lady Gaga" is part of SiriusXM's "Town Hall" series, featuring iconic entertainers and figures sitting down with studio audiences of SiriusXM listeners. Previous SiriusXM "Town Hall" specials have featured Bruce Springsteen, Tom Petty, Eminem, Katy Perry, Willie Nelson, Alicia Keys, KISS, Tony Bennett, Coldplay, Cher, Ringo Starr, Taylor Swift, Usher, Pearl Jam, Roger Waters and the surviving members of Nirvana. After the broadcast, "SiriusXM's Town Hall with Lady Gaga" will be available on SiriusXM On Demand for subscribers listening via the SiriusXM Internet Radio App for smartphones and other mobile devices or online at siriusxm.com. Visit SiriusXM On Demand - SiriusXM Radio for more info on SiriusXM On Demand. SiriusXM Hits 1 plays everything from pop to hip-hop to rock to R&B. Listeners will hear artists like Katy Perry, One Direction, Maroon 5, Taylor Swift, Bruno Mars and P!nk. For more information on Lady Gaga, please visit LADY GAGA - News. Its on anytime you want to hear it- just use your phone app. That's why I don't use the SMX app very much, if at all. I wanted to listen to the Hendrick THS, but before I had a chance to listen to the whole thing, it was gone. My bad semi- I thought this had already aired :blush: Standby- Press release just hit my inbox! NEW YORK, Nov. 14, 2013 /PRNewswire/ -- Sirius XM Radio (NASDAQ: SIRI) announced today that former heavyweight champion of the world Mike Tyson will be the featured guest on an upcoming installment of SiriusXM's "Town Hall" series, intimate gatherings with iconic entertainers and figures sitting down with a studio audience of SiriusXM listeners. Hosted by Shade 45's Sway in the Morning host Sway Calloway, "SiriusXM's Town Hall with Mike Tyson" will take place at SiriusXM's New York City studios. Throughout the hour-long special, Tyson will take a variety of questions from the audience about his new tell-all memoir Undisputed Truth and the upcoming HBO special of the same name directed by Spike Lee. "SiriusXM's Town Hall with Mike Tyson" will premiere on Friday, November 15 at 5:00 pm ET on Jamie Foxx's 24/7 exclusive SiriusXM channel The Foxxhole, channel 96. Encore presentations will air on The Foxxhole on November 15 at 8:00 pm, November 16 at 11:00 am, 2:00 pm and 9:00 pm, and November 17 at 3:00 pm and 6:00 pm (all times ET). "SiriusXM's Town Hall with Mike Tyson" will be available on SiriusXM On Demand for subscribers listening via the SiriusXM Internet Radio App for smartphones and other mobile devices or online at siriusxm.com. Visit SiriusXM On Demand - SiriusXM Radio for more information. "SiriusXM's Town Hall with Mike Tyson" is part of SiriusXM's "Town Hall" series, featuring iconic entertainers and figures sitting down with studio audiences of SiriusXM listeners. Previous SiriusXM "Town Hall" specials have featured Bruce Springsteen, Cardinal Timothy Dolan, Carol Burnett, Tom Petty, KISS, Coldplay, Ringo Starr, Katy Perry, Lady Gaga, Robin Williams, Michael J. Fox, the surviving members of Nirvana, Gregg Allman, Usher and Tony Hawk. With nicknames such as "Iron Mike," "Kid Dynamite" and "The Baddest Man on the Planet," Tyson is a larger-than-life legend both in and out of the ring. In addition to having been the undisputed heavyweight champion, Tyson holds the record as the youngest boxer to win the WBC, WBA and IBF world heavyweight titles. He was the first heavyweight boxer to hold the WBA, WBC and IBF titles simultaneously. In 2011, Tyson was inducted into the Boxing Hall of Fame. His career in entertainment spans blockbuster movies (The Hangover and The Hangover 2), and television (Animal Planet's "Taking on Tyson"). He has his own clothing company, is CEO of his own production company, Tyrannic Productions and currently has a few film projects in development. "Mike Tyson: UNDISPUTED TRUTH"â€”Tyson's one-man show directed by famed director Spike Leeâ€”debuted on Broadway in July 2012. It is the raw, no-holds barred life story of Tyson in which he unveils never-before-told stories of his life and experiences as a professional athlete and peels back layers of tragedy, controversies, public turmoil, triumph and survival. On November 16, 2013, it will air as a special on HBO. Tyson is currently retired from boxing and is based in Las Vegas. In August 2013, Tyson returned to the ring with a boxing promotional company called Iron Mike Productions. His memoir Undisputed Truth hit bookstores on November 12, 2013. Tyson is currently starring in his own docu-series on FOX Sports 1, "Being Mike Tyson." Tyson's charity, The Mike Tyson Cares Foundation, was founded in December 2012 with the mission to "give kids a fighting chance" by providing innovative centers that provide for the comprehensive needs of kids from broken homes. For more information, visit Welcome to the world of satellite radio - SiriusXM Radio. Check out video clips and learn more about SiriusXM's "Town Hall" series at Town Hall Radio - SiriusXM Radio. Now we know why you couldn't find it- IT WASN'T THERE YET!! Joe Torre, Major League Baseball's EVP of Baseball Operations, a nine-time All-Star and four-time World Series Champion manager, will sit down for an exclusive Q&A session with an audience of SiriusXM listeners at the SiriusXM Studios in New York City on Monday, November 18, as part of SiriusXM's exclusive "Town Hall" series. "SiriusXM's Town Hall with Joe Torre" will air live at 2:00 pm ET on Mad Dog Sports Radio, SiriusXM channel 86, and will be moderated by the channel's headline host, Chris Russo. Torre will answer questions from SiriusXM subscribers in the audience and talk about his experiences throughout his three decade career as a player and manager, his current role as MLB's EVP of Baseball Operations, and his work with the Joe Torre Safe At Home Foundation. "Throughout my career in baseball, I've always appreciated the interaction with the fans. Their dedication to the game and their teams is remarkable," said Torre. "So I am looking forward to what will be a unique conversation with SiriusXM's listeners and Chris Russo on November 18, and I am pleased to have the opportunity to talk about my time in the game and the important work we are doing off the field with the Safe At Home Foundation." "Few people know more about the game of baseball than Joe Torre. Every conversation I've had with him â€” and I've had many over the years â€” has been interesting and often enlightening," said Russo. "More importantly, both on the field and away from the ballpark, Joe is one of the finest people I've ever known. He's had a fascinating career and life and this will be an entertaining discussion, both for the fans in studio with him and those listening around the country." Joe Torre was named MLB's Executive Vice President of Baseball Operations in 2011. He oversees areas that include Major League Operations, On-Field Operations, On-Field Discipline and Umpiring and serves as the Office of the Commissioner's primary liaison to the GMs and field managers of the 30 Major League clubs regarding all baseball and on-field matters. He is the Chairman of the Joe Torre Safe At Home Foundation (Home - Joe Torre Safe At HomeÂ®), which he and his wife, Ali, launched in 2002 with the mission to educate to end the cycle of domestic violence and save lives. Since its inception, the Foundation has educated thousands of students, parents, teachers and school faculty with a message of anti-violence and respect, and has created "safe rooms," named Margaret's Place in tribute to Joe's mother, in schools in New York, New Jersey and Los Angeles where students can speak to a counselor about the traumas occurring in their lives. Torre ranks fifth all-time in managerial wins with 2,326. In 2010, he concluded his third and final season as manager of the LA Dodgers, whom he led to the National League Championship Series in 2008 and 2009. Previously, he spent 12 seasons as manager of the New York Yankees (1996-2007), guiding them to the postseason every year, including six World Series appearances and four World Championships (1996, 1998-2000). Torre managed the New York Mets from 1977-81, the Atlanta Braves from 1982-84 and the St. Louis Cardinals from 1990-95. During his 17-year playing career, Torre compiled a lifetime .297 batting average, had 2,342 hits and 252 HRs. He was a nine-time All-Star and the NL's Most Valuable Player in 1971. He is eligible for induction into the Baseball Hall of Fame in 2014. SiriusXM subscribers have the chance to attend and ask a question as part of "SiriusXM's Town Hall with Joe Torre." Visit Town Hall Radio - SiriusXM Radio for Official Rules and details. The event is part of SiriusXM's "Town Hall" series, which features intimate gatherings with an iconic personality sitting down with a studio audience of SiriusXM listeners. Previous SiriusXM "Town Hall' specials have featured Katy Perry, Robin Williams, Lady Gaga, Eminem, Bruce Springsteen, Cardinal Timothy Dolan, Roger Goodell, Ringo Starr, Mike Krzyzewski and others. After the debut broadcast, "SiriusXM's Town Hall with Joe Torre" will be available on SiriusXM On Demand for subscribers via the SiriusXM Internet Radio App or online at SiriusXM.com. 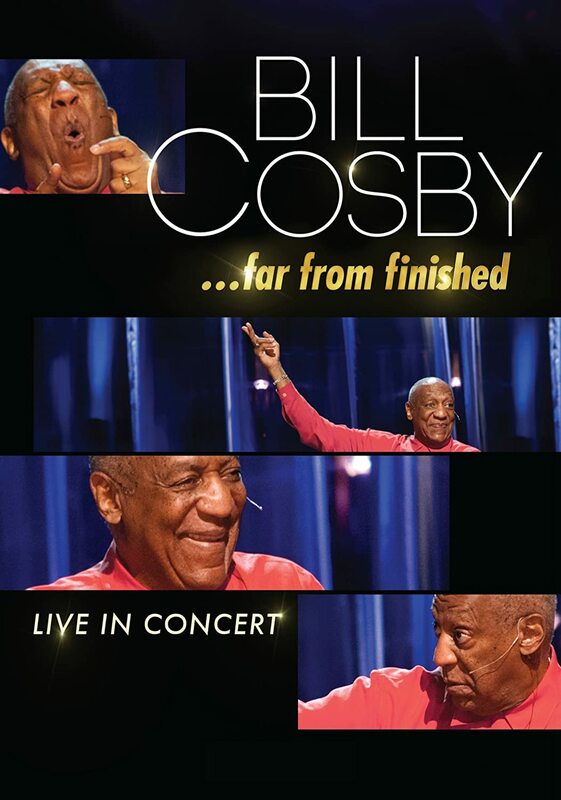 A very special "Town Hall" event with Bill Cosby in celebration of his first comedy special in thirty years, Far From Finished! Over the past century, few entertainers have achieved the legendary status of William H. Cosby Jr. His successes span five decades and virtually all media, remarkable accomplishments for a kid who emerged from humble beginnings in a Philly project. The Town Hall features Bill Cosby answering questions from an intimate studio audience of SiriusXM listeners, about his career and life. I hope they talk about his work with Quincy Jones. Hikky Burr was a crazy awesome album.